This is probably the strangest article we have placed on this site. The reason is that we sought permission to post the various items, i.e. pictures, in some cases text, and other items whenever we found a who to contact address. We didn't always find such. Some people replied back giving permission and how to cite that which we were going to use. Some people didn't reply back and one denied permission but did say we could link to their site. So, we have a combination of links, cites, etc. Not ideal but you have to work with what you have or are given. It makes it more difficult to put this article together and will make it more difficult to navigate the article but it really is worth the effort in both cases. We do wish to thank each and every person we contacted in our efforts to put this together. Here on the web site we do have a section on the military we do include military pictures, stores, and the like. They center around people from East Liverpool. There are articles and pictures about the Civil War, Spanish-American War, WWI, but so far not much about WWII and after. Yet many of our parents and possibly brothers and sisters, aunts and uncles, lived in and'or served during the times of WWII, the "cold war" i.e. the Korean War, Vietnam, and after. Thus we offer this article to help fill that void some. On the facebook site that compliments this web site Robert Spratley posted to the following video: "A gentleman named John Calhoun from Cora St. E.L.O. Serve in Alaska in W.W.2. He was stationed in the Aleutian Is. and ran a tug style boat." We know of a women who graduated from East Liverpool High School, joined the Navy and spent a year on Adak in the 1980's and a man who joined the Navy in 1961 and spent a year on Adak as well. During WWII and through the years after that time period there were probably a number of men and women from East Liverpool that spent time in the Aleutians or on Adak or one of the other Aleutian Islands. "Report from the Aleutians," directed by John Huston, follows the daily life of American soldiers serving in the Aleutian Islands, which extend in sequence off the shores of Alaska. 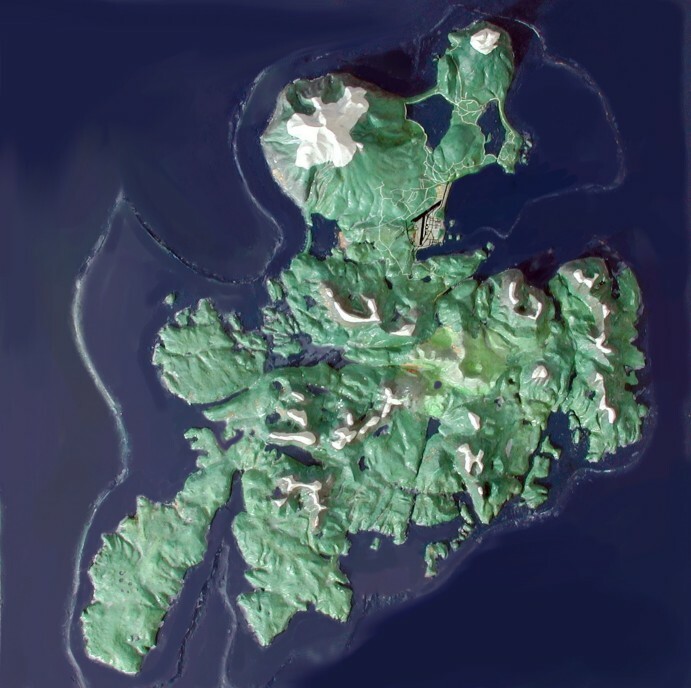 Despite being cold, barren, and generally disagreeable, the Aleutians held military bases of immense strategic value in the Pacific theater of World War II. The film describes the geographic importance of the islands, and provides a portrait of daily wartime operations, such as attack planning and bombing raids, that take place at the bases. Huston pays particular attention to life on the island of Adak in the wake of the Battle of Dutch Harbor, culminating in a first-person perspective of an actual American bombing run against the Japanese. Let's get some idea of what Adak looks like as far as the island is concerned. The Naval Station, airport, and related housing and buildings, school, bowling alley, commissary, Post office, shops, theatre, etc. A little better view. Lower right is the Navy Station, with all the things described above. Upper right you can see two bodies of water next to each other. 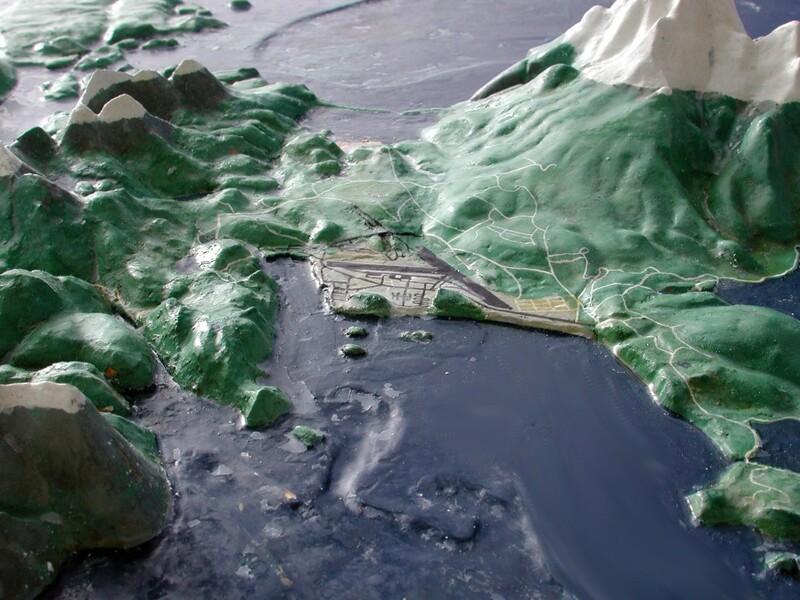 The body of water on the right is Clam Lagoon and its along its shores that the Naval Communication Station was located. The big mountain between them is Mount Moffett and part way up its slopes was where the Naval Radio Transmitting site was located. 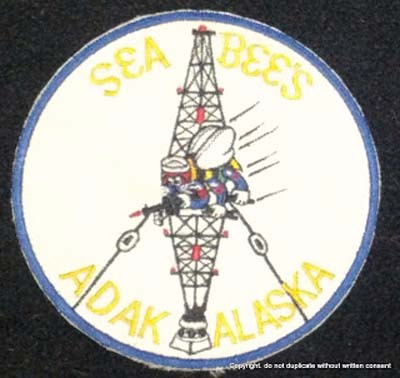 In 1942, the U.S. Navy established a Naval Operating Base on the island of Adak, .At the same time, communication facilities were set up as an integral part of this base. 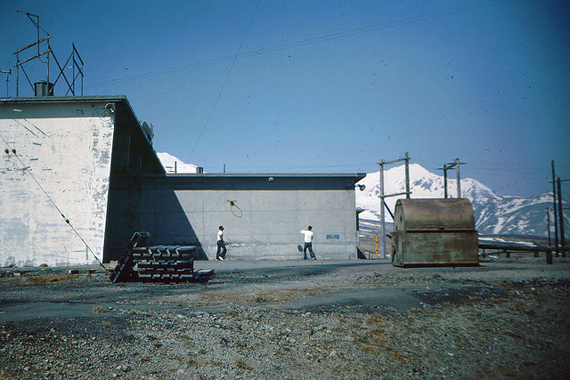 These facilities consisted of a Radio Control Station at Heart Lake, where the receivers were located and a transmitting station located at Rocky Point. 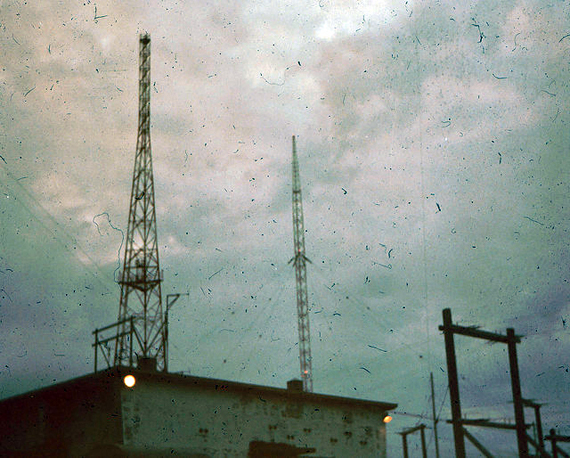 In September 1943, a Communications Supplementary Activity was established at Clam Lagoon, and a direction finding building was located on Zeto Point. 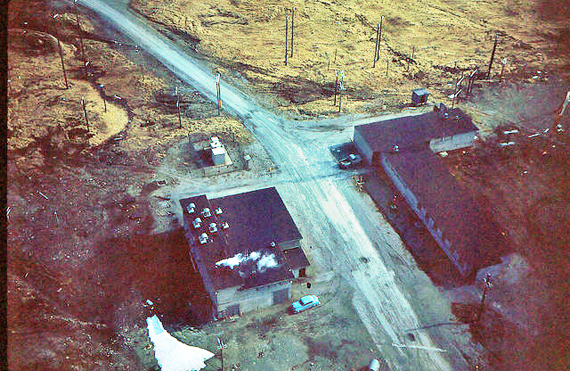 These facilities, housed in Quonset huts or wooden buildings, maintained the following circuits for the Naval organization on Adak, during and after World War Two: (1) A multiplex circuit between Adak and Kodiak (2) An international distress circuit (3) A ship/shore circuit (4) A harbor common circuit (S) An air ground circuit (6) a multipurpose circuit between Adak and Attu. 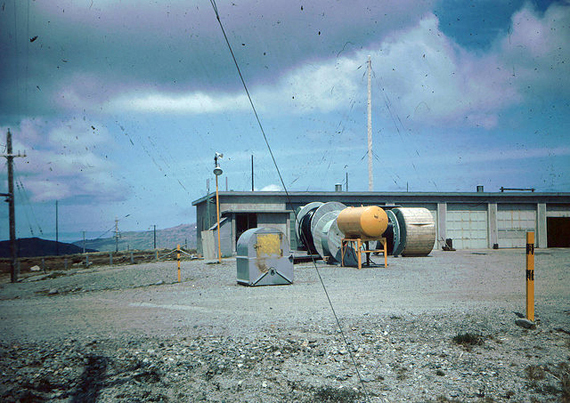 The Public Works Authorization Bill, passed by Congress in 1948, provided for the construction of new communications facilities on Adak to replace the temporary, wartime station then in use. Funds for the first increment of construction were appropriated in June 1948. Detailed plans were approved and specific ground sites, close to the old Communications Supplementary Activity, were chosen. In April 1949, permission to begin construction was granted and by the end of the year initial stages of construction were well under way. and the transmitter site was moved farther up the slope of Mt. Moffett, near the old Rocky Point transmitter site. All major buildings were to be constructed of reinforced concrete. The Receiving Station was to have a receiver building, a terminal building, power plant, and facilities for berthing two hundred and fifty men. The Mt. Moffett site was to have a building to house the transmitting equipment, a power plant, and facilities to berth and feed thirty men. Directed supervision of construction was maintained by an Officer in Charge of construction, and the Officer in Charge, U. S. Naval Communications Supplementary Activity, Adak, was also informed of all details of the planning and construction. Direct logistic support and basic planning of the buildings was provided by the Puget Sound Naval Shipyard, Bremerton, Washington. The Commandant Seventeenth Naval District and Office of the Director Naval Communications were also kept informed of the progress in construction of the Station. 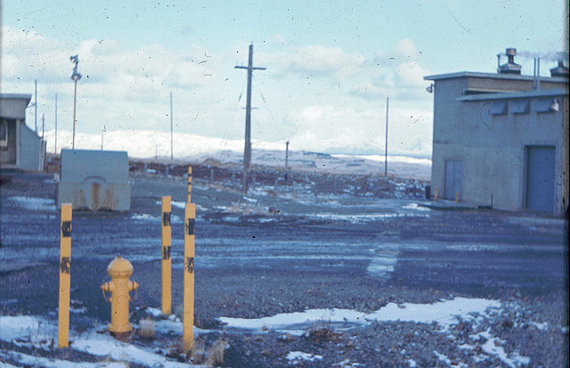 To July 1950, all facilities at the Naval Operating Base Adak were combined into the U.S. Naval Station, Adak, and on 2 October 1951, SECNAV letter, serial 3977P21, established U.S. 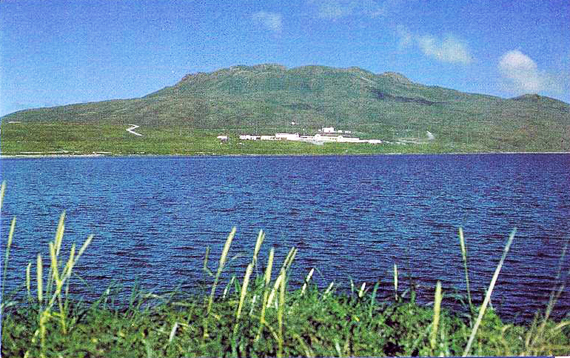 Naval Communication Station, Adak. 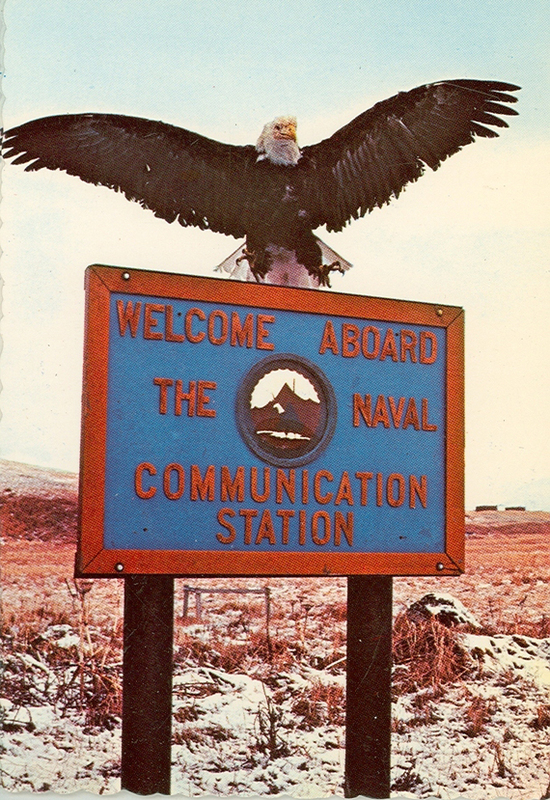 The Communication Station was separated from the direct control of the Naval Station and was established as a separate command, although direct logistic support was to be provided by the Naval Station. 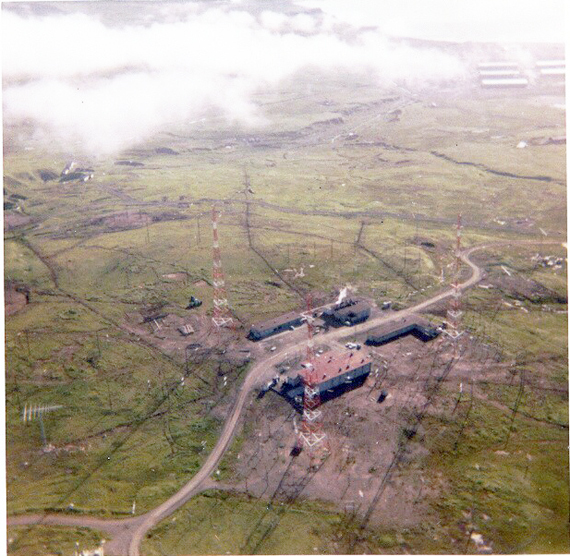 The final stages of construction and the installing of electronic equipment continued through the winter of 1951 and the spring of 1952, and on 1 May 1952, the personnel attached to the Communications Supplementary Activity, Adak were transferred to the Naval Communications Station, Adak. On 3 May, 1952, Command Ceremonies were held and Commander (now Captain) Arthur Enderlin, USNR, became the first Commanding Officer of the U.S. 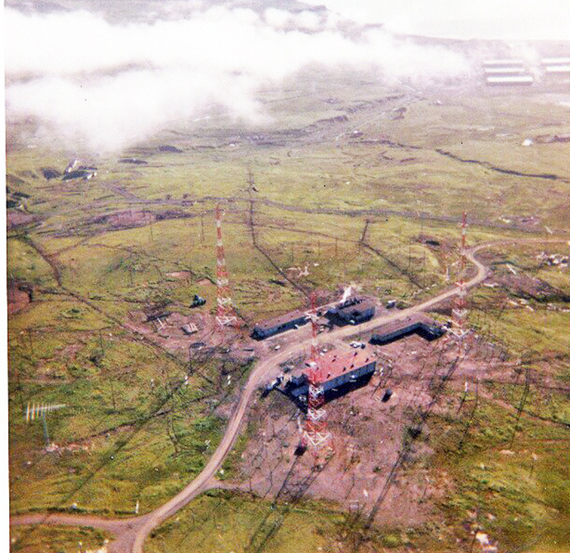 Naval Communications Station, Adak. The administrative chain of command for NavCommSta, Adak is through the U.S. Naval Station, Adak to Commandant, Seventeenth Naval District. The operational chain of command Passes directly to Commandant, Seventeenth Naval District and then to Director Naval Communications. The District Headquarters is located at Kodiak, 1200 miles to the east of Adak. NavCommSta, Adak has not participated in any special or joint exercises, other than routine training exercises or defense drills since its establishment. 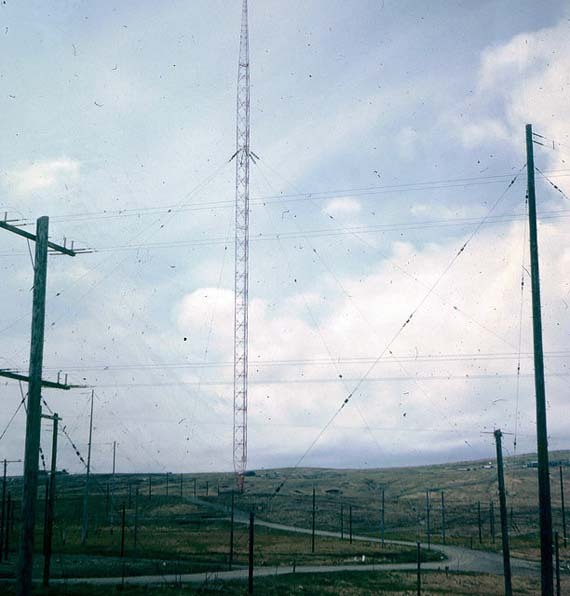 The Communications Station has received two visits of significance, both occurring in 1959. On 9 May 1959, Rear Admiral P. Virden, Director of Naval Communications, visited the station, and on 23 July 1959, Admiral J.S. Russell, Vice Chief of Naval Operations, visited the station. 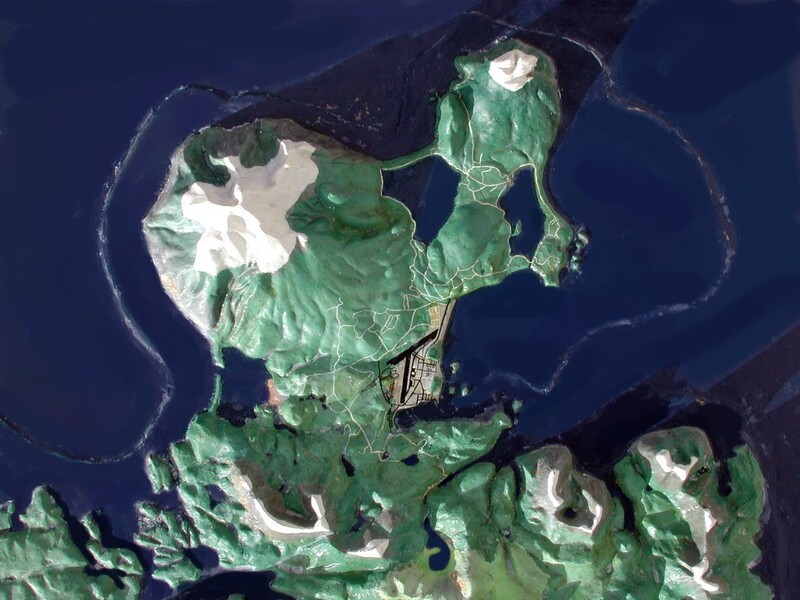 The internal organization of NavCommSta, Adak consists of the Naval Radio Station Receiver (NavRadSta(R)) located at Clam Lagoon, and the Naval Radio Station Transmitters (NavRadSta (T)) located on Mt. Moffett. NavRadSta (R) has a U.S. Naval Security Group Department, a General Service Division, which operates minor relay, a Public Works Division, and an Administrative Division. 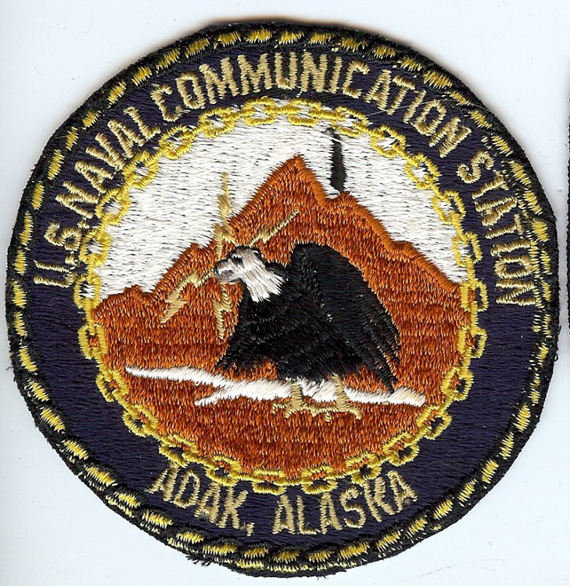 NavCommSta, Adak maintains the following Communications circuits as a part of its operational function: (1) A multiplex circuit to Kodiak, serving all Naval establishments on Adak (2) A multiplex circuit to Honolulu (3) A harbor common net (4) A merchant ship distress circuit (5) A ship/shore net (6) A Pacific Fleet emergency net (7) A back up for Kodiak fleet broadcast (8) An emergency voice/CW net with the Coast Guard Station at Attu (9) A circuit with Amchitka and Atka to serve missionaries who are located there (10) A alternate route through which the 1929th AACS Squadron may pass traffic. The picture on the far left at the top shows the Winter view of the NavCommSta. When we asked for permission to post pictures from this site (we only wanted to use 3 pictures) we were told no but told we could link to the site. The picture on the left, the winter view was one of the three pictures we wanted to use. It truly is a stunning and beautiful picture. Posted with permission of Bahtah.. There were a number of ratings that worked at this station. Seabees, Radiomen, Electronic Technic ions, Enginemen, cooks, etc. 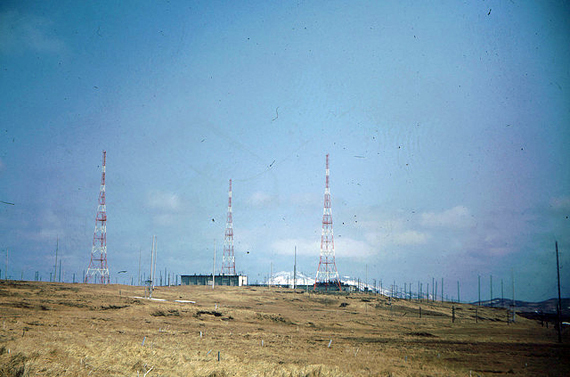 An outstanding picture showing the Mount Moffett Naval Radio Station complex in the center of the picture. You can see the 800 foot tower as well as the three 300 foot towers. In the background is Great Sitkin, a island with a sometimes active volcano 26 miles away from Adak. More on that in Part 2. View of the three 300 foot towers. 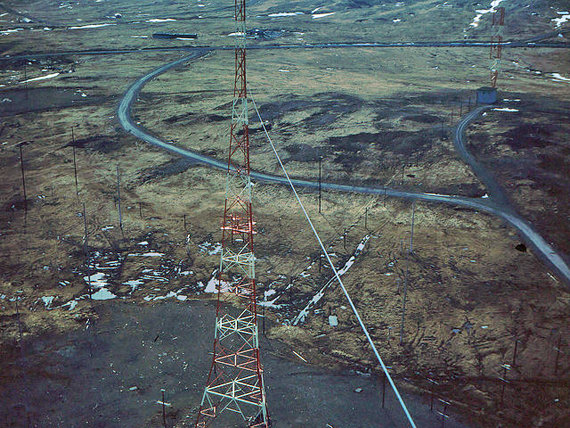 View of the three, 300 foot towers that support one antenna strung between them. Posted with permission of Bahtah. NavRadSta(T)_circa_1966 Provided to me [Bahtah] by Robert Burkhart who was stationed at Adak as a Radioman(RMSN) from April 1966 to April 1967. 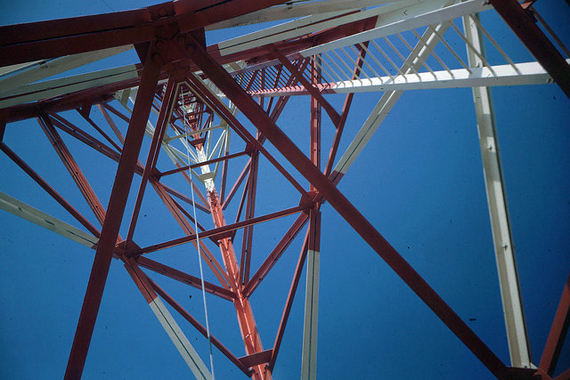 Photo taken while Robert was climbing 800 foot antenna. Posted with permission of Bahtah. The two buildings on the right are the barracks/rec/galley building. The is the one in front, the larger building in line behind it is the radio transmitting room, offices, electronic repair rooms, etc. The buildings on the left are the vehicle garages, and in line in front of it is the power plant. You can see two of the 300 foot towers, the third should be there as well but seems to effectively blend into the terrain. At the top right are some building of the Naval Station. Power Plant on the right, garage on the left. Posted with permission of Bahtah. View from 300 foot. View from 300 ft tower of plant building,barracks and mess hall. Posted with permission of Bahtah. Maintenance Bldg. View of front of maintenance/garage building. Posted with permission of Bahtah. Holiday Routine. One of the ten clear days that year. On a clear day it was automatically "Holiday Routine" Posted with permission of Bahtah. 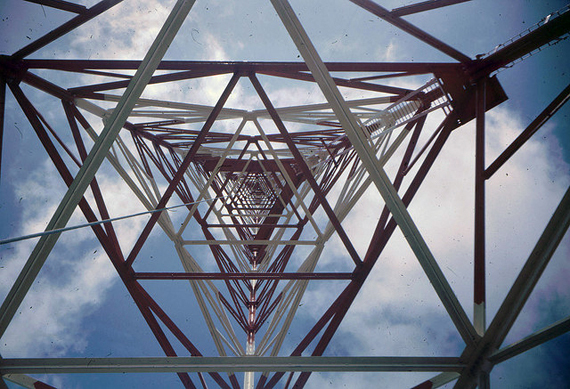 Possibly the most visual backbone of the Naval Radio Transmitting Station are the towers. Tower Views. View looking at 300 ft tower with 800 ft antenna in back ground. Posted with permission of Bahtah. Antenna between towers. Antenna strung between towers. Posted with permission of Bahtah. View up 300 ft tower. Looking up 300 ft tower. Posted with permission of Bahtah. Antenna Views. Pole mount antennas and 800 ft antenna. Posted with permission of Bahtah.